Here at Exceptional Dental, we aim to make your experience quick, easy, and enjoyable. We want to be your Metairie dentist. 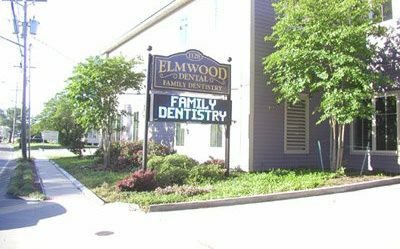 Whether you are seeking a new dentist, are new to town, or are in need of a check-up, we want to be your home. Discover why choosing Exceptional Dental for all your dental needs will keep you smiling for a long time. We get it. You don’t want to come sit at the dentist office for three to four hours after a long day at work. Even worse, you don’t want to spend your weekend getting your teeth cleaned when you could have spent that time with your family. That’s why we prioritize your time, to ensure that you are in and out as quick as possible. We strike a balance between efficiency and effectiveness, maintaining our high quality standards. Even tasks such as answering the phone within the first few rings, scheduling flexibility, and quick responses to your questions are priorities to us. Our six locations, spanning from Slidell to Metairie, offer flexibility and convenience for the best dental experience. Your smile is our first priority at Exceptional Dental. And we mean that in two ways. Not only do we want you to walk away with a beautiful smile, but we want your experience with us to be unmatched. We want you to walk away feeling satisfied. Our friendly staff makes you feel comfortable and at home, whether you are getting a simple cleaning or a root canal. You are at the center of everything we do. From start to finish, we want you to know that you are being cared for. Now that is something to smile about. So what makes Exceptional Dental so exceptional? It’s simple. We provide a variety of services with the utmost quality. We are a full service dentist office, so whatever dental problem you are having, we can help. Some of the services we pride ourselves in include cosmetic and emergency dentistry, root canal therapy, dental implants, cleaning and prevention, and many more! Whatever the issue, we are here for you. We even offer competitive pricing such as $29 emergency exam and x-ray services. Our offices have state-of-the-art equipment ready to accommodate the needs of your entire family. Exceptional Dental works with the patients to ensure that they remained informed and satisfied. We hold the highest standards of any Metairie dentist. Ready to Make Exceptional Your Metairie Dentist? Whether you are convinced that we are the place for you or still have questions, we would love to hear from you! No question is too big or small. Give us something to smile about, make an appointment online or contact us today.